Another day, another beta for Battleline: Steel Warfare. Bandai Namco’s tank-battling strategy game has another beta starting up next Tuesday, the 9th, which you can sign up for on the game’s site. If you were in the first beta, you’ll automatically be invited to this one, with 500,000 gold and a custom M4 Sherman tank to add to your arsenal, with new tanks added over the course of the beta. If you were in the first beta, we’d love to hear your thoughts on it — as long as you don’t break the NDA, of course! 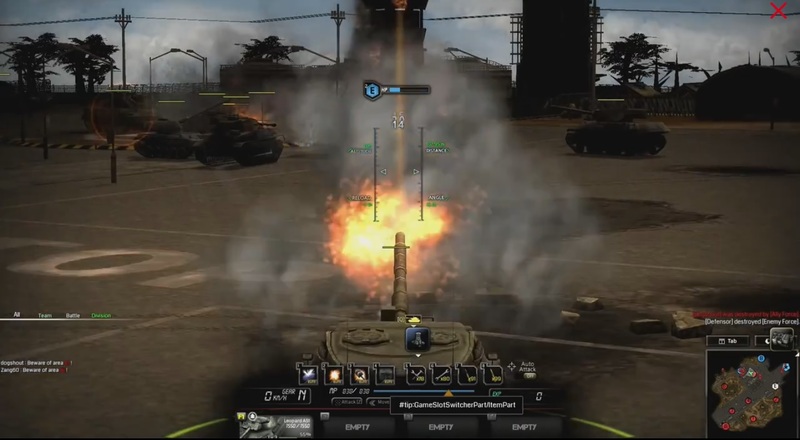 world of tanks …… yeah game for retards who belive tanks have kids …. and get maryed. What’s up with all the games being about war and fighting/confrontation and killing/destroying? The game was a lot of fun to play. The community was better than good and the game itself was so intense. Okay low graphics but who cares? For a game like this it’s more than enough. Seriously though imagine a moba mixed with tanks and a lot of strategy. Sounds good right? Well it gives you just that so go ahead and try it out if you can when it relaunches! You won’t regret it.